STS Technical Services is hiring Internal Communications Specialists in Fort Lauderdale, Florida. Helps develop and support Internal Communications planning and execution for the Company’s specific projects, initiatives, and events. Supports the development and implementation of the Internal Communications strategy with the aim of maintaining a consistent dialogue with employees that promotes retention. Utilizes Internal Communications tools, including but not limited to emails, digital signs, internal social media, and our client’s TV, to keep all North America employees informed and engaged. Utilizes the Company’s emergency notification system to keep employees informed during a crisis, requiring on-call availability. Implements metrics and utilizes analytical tools to identify and measure communication needs and effectiveness. Interfaces with different employees and leaders from various business areas and operating units to maintain the flow of communications and generate a dialogue to fuel the Internal Communications strategy. Visits assigned operating units to provide Internal Communications support. Supports business areas, including Human Resources, IT, Legal, Marketing, etc., with organizational communications initiatives. Coordinates internal and external corporate events. Supports corporate, business and marketing communications projects as needed. Works closely with the Internal Communications team at the client’s headquarters, as well as with the Corporate Communications team in Fort Lauderdale and Melbourne, to ensure alignment of messaging and initiatives. Participates in all team alignment meetings, providing insight into sites for which he/she is responsible. Executes a strategy that works locally while also guaranteeing that internal customers have a uniform experience, no matter their location. Act as an ambassador of the brand and culture among all internal audiences. Supports budget preparation and management. Utilizes new communications technologies for Internal Communications. Collaborates with the Foundation to support corporate social responsibility initiatives. Coordinates US sponsorship, assuring adherence to the Company’s compliance policies and procedures. Maintains relationship with Compliance department at headquarters, ensuring all guidance is followed for events and projects. 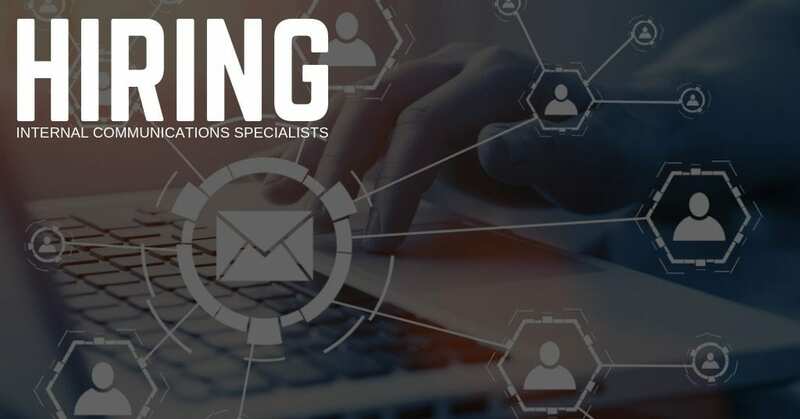 Provides communications support to internal customers, organizing skip level meetings, town hall meetings, targeted video communications, and site visits with leadership to encourage the flow of information. Keeps workplace organized. Supports Company’s corporate excellence program, P3E. Helps with other administrative duties.